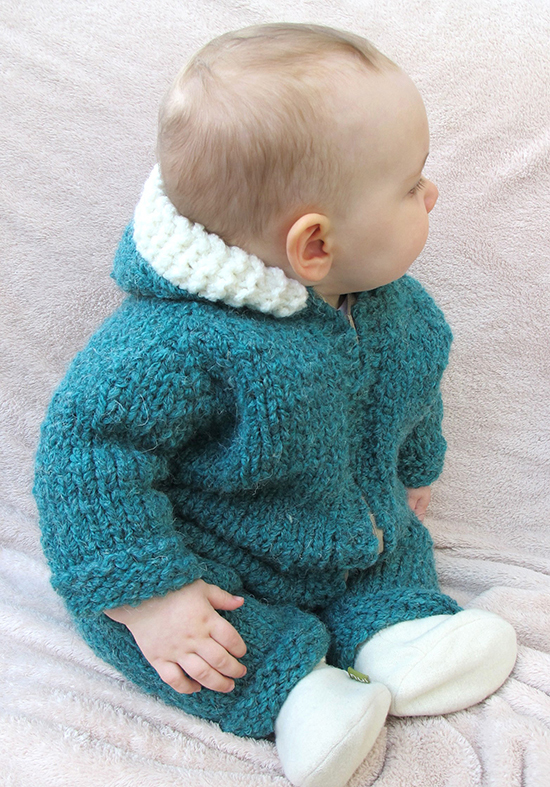 A warm stretchy zipped suit for the winter baby. 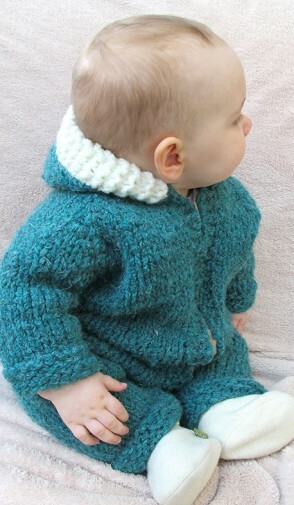 Knitted at 10 sts to 4 inches with superbulky yarn, it makes a fast and cozy gift. Even faster is the jacket version, which can be closed with toggles. Sizes 6, 12, 18 and 24 months.